This is a personal blog on my craft and sewing journey. You might come across a few affiliate links (labelled 'Sponsor') which, if you click or purchase through it, I may get a tiny commission from it. However, any affiliate links are my recommendations due to my personal experience using it or as a resource. Here is the much awaited triangle pouch. A simple yet pretty pouch which you can make in any size you like. Enjoy! Here’s one of the flowers I love to make. Hope you enjoy making them too! Please do feel free to comment and leave constructive feedback so that I can try improve on my future tutorials. Thanks for reading! Teaching seems to be part of me. I love it whether to do it casually or professionally. Though I have stopped doing sports coaching, I do help out to conduct short courses upon request. 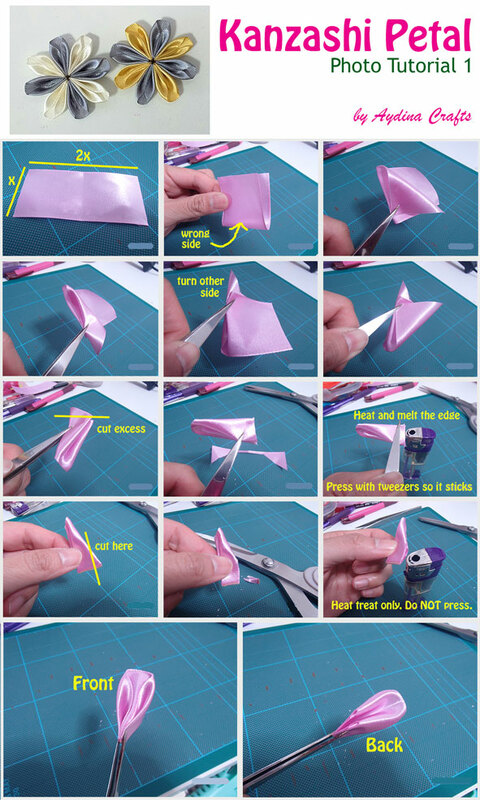 That aside, I have tried making simple but clear video tutorials of Ribbon Crafts (for now). I hope you find it easy to follow and able to gain from it. With those flowers, you can make as decor on your walls and curtains. 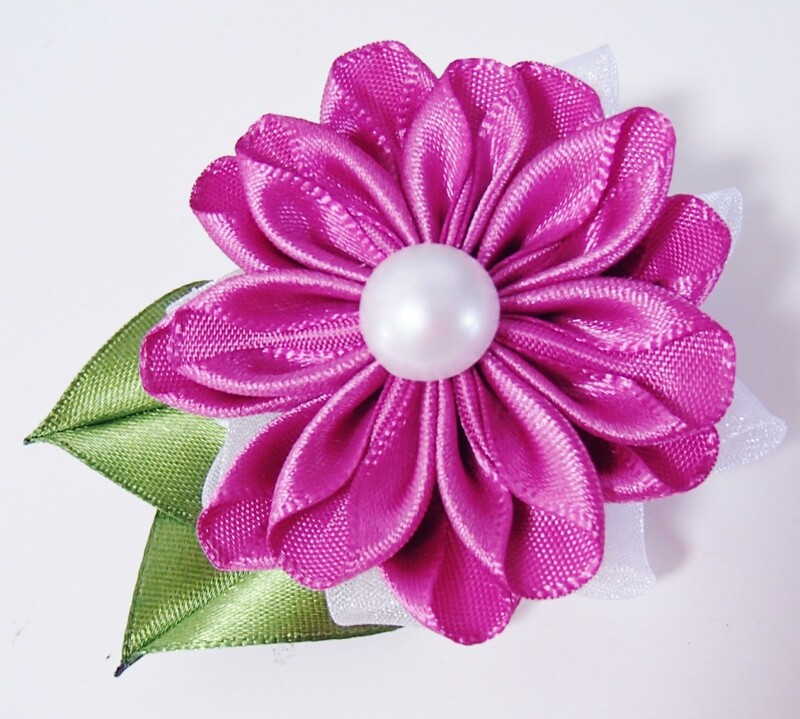 Attach pins and make brooches or add elastic bands and you’ll get hair accessories. 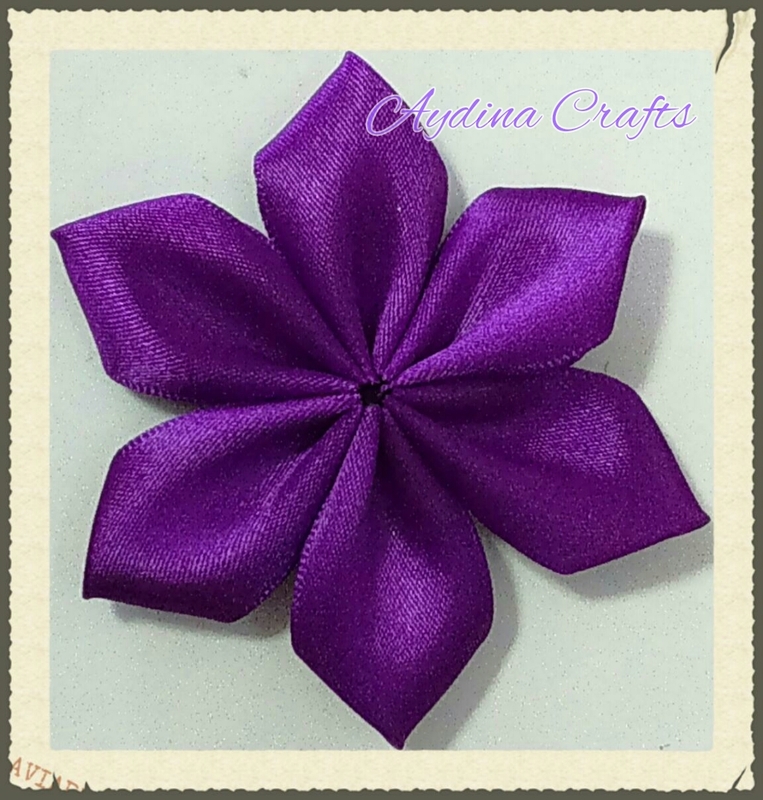 So, without further ado, Watch The Video to learn how to make a flower with satin ribbon. Hi! I am soooo excited to start this blog especially because I have been trying to find time in between my crazy daily schedule. Well, not that I am overly busy. Just occupied with my 3 girls who need so much of my attention. 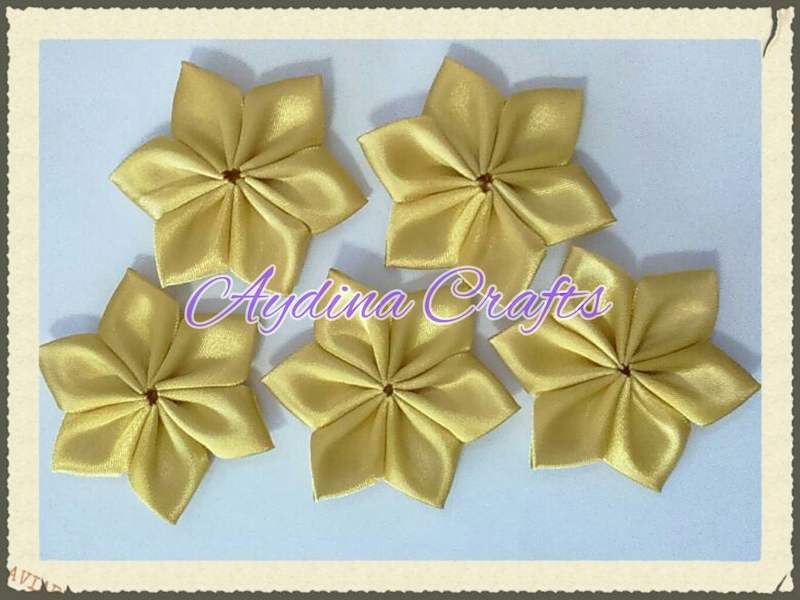 I am starting Aydina Crafts as my business since I stopped providing full time service as a Sports Instructor. That was my passion (Time to slow down and focus more on the girls). Aydina Crafts is a hobby. I love doing things with my hands and I can be pretty technical. It actually started many years back when my mum and I began creating accessories with wires – like earrings, rings and necklaces. We were self-taught and continued to create pieces which we can’t possibly wear everything. So, my hubby and I sold at flea markets for fun for several years. Though it wasn’t a serious venture and practically without proper goals, I learnt a few tips and tricks in selling and attracting customers. In the beginning, sale was pretty good. Quality and unique hand craft work was a winning factor until ‘cheap stuff’ came into the environment. Then came stall holders selling clothes (which I wonder if they were new or worn) so disorderly just dumping them on the table or even the floor with a canvas. And selling them at crazy-low prices like 50 cents each. Soon, more came and it brought down the value of all stalls within the flea market. I hope to show you my creations since the last few years that I started crafting and sewing. Time to gather those photos so do check back soon for new updates. Have a beautiful weekend ahead!